The grandest stage of them all, WrestleMania 35, took place at the Metlife Stadium in East Rutherford, New Jersey on April 7 in front of an audience of more than 80,000 screaming fans and millions of others watching around the world. The showcase of the immortals featured superstars from the past and present to bring back nostalgia and create new memories for more than seven hours. 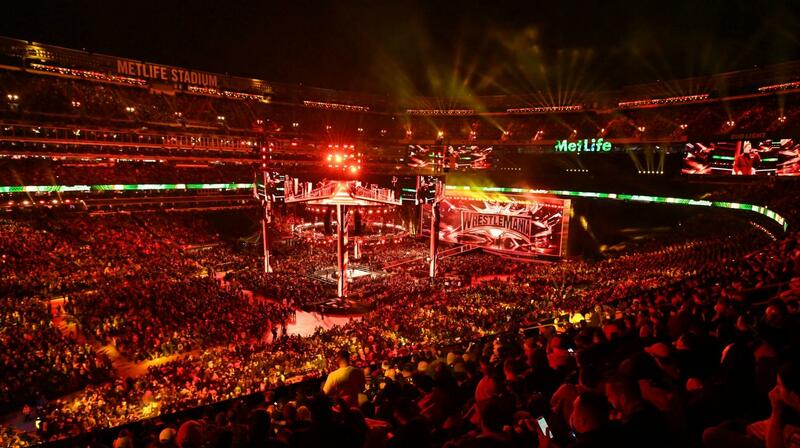 Let’s take a look at some of the highlights from this year’s WrestleMania. The first memorable moment that happened at this year’s event was the tag team of Zack Ryder and Curt Hawkins winning the tag team championships from The Revival. Hawkins possessed the longest losing streak in WWE history and it was finally shattered at the biggest event of the year. When the ref counted to three, the stadium blew up in a rally of cheers. Who would’ve figured that WrestleMania would start off with one of the main attractions in the company Brock Lesnar? It happened when his advocate, Paul Heyman, interrupted the intro of the show to introduce Lesnar and the match. Before the bell even rang for Seth Rollins vs. Brock Lesnar, Lesnar attacked Rollins to weaken him which is a classic strategy. However, the strategy didn’t work in Lesnar’s favor when eventually Rollins covered Lesnar for the pin and won the championship. To fans, this win meant that they would see the championship every week and it would be defended as it should be. WWE superstar Elias claimed he wrote a “very special song” just for this specific night and when he played just a few strings on his guitar, a video showed up of the World Series. Now usually when WWE plays a video like this to interrupt the person in the ring, someone comes out. 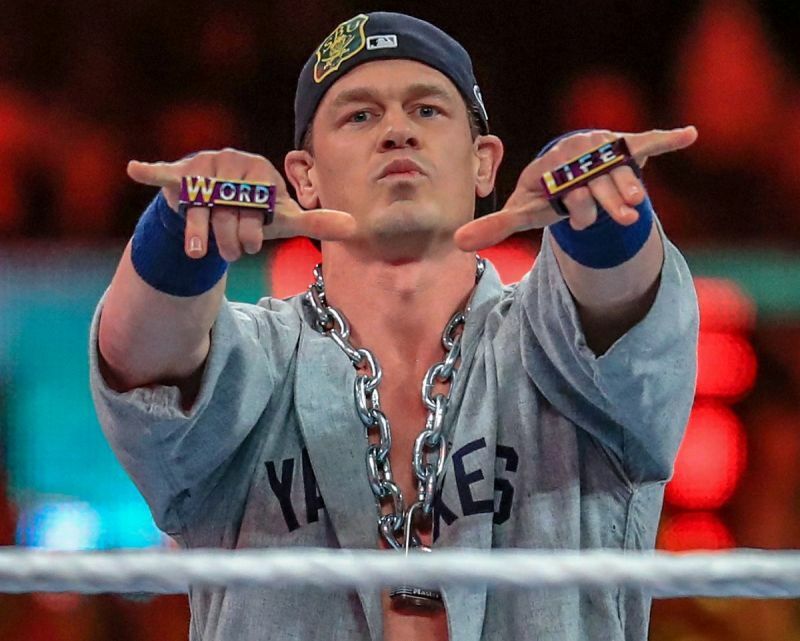 Now, no one would’ve ever guessed that the Dr. of Thuganomics, John Cena would make his presence known with a loud reception to steal the spotlight from Elias. Cena rapped hilarious lines as insults toward Elias like Cena used to do back when he first broke into WWE. After landing some hysterical jokes on Elias, Cena performed the “FU,” one of Cena’s finishers, on Elias to end this historic moment. Many fans say that this was the best moment of the night because they’ve been wanting Cena to return with that specific character for years. WWE has never had an African American champion but that was brought to an end at this year’s ‘Mania when Kofi Kingston defeated Daniel Bryan for the WWE Championship. It was an emotional moment between the popular trio the New Day when they hoisted Kingston up onto their shoulders with tears in their eyes. Vince McMahon put Kingston through ridiculous obstacles and matches just for Kingston to claim his spot in the match against Bryan. This match has been one of the biggest build-ups this year because of its significance for African American WWE superstars and obviously Kingston’s career with WWE for the past 11 years. Let’s go back in time for a second, specifically the year 2005. Triple H and Batista have butted heads ever since Batista turned on the faction Evolution back in 2005, so he could face Triple H for the WWE Championship at WrestleMania 21. Batista ranted on Raw a few weeks ago that Triple H is the most selfish and self-centered person he’s ever known and that thought angered him enough to attack a 70-year-old Ric Flair backstage. So, an infuriated Batista was bound and determined to end Triple H’s career. That attack started their renewed rivalry and when the match happened at this year’s WrestleMania, it was an all-out war. Triple H savagely ripped out Batista’s nose ring with a pair of pliers and that won over a huge reaction with the fans. The two used almost every weapon on each other you could think of but when Triple H utilized a chain on Batista’s ribs, it brought back the nostalgia of their Hell in a Cell match at the Vengeance PPV in 2005. Batista had his fair share of brutality towards Triple H but Triple H kept his career when he pinned Batista for the win. This is the second time that Triple H’s career has been on the line at WrestleMania but it seems that match stipulation brings out the best in him. Lastly, the women main-evented WrestleMania for the first ever so it was one of the most anticipated matches on the card. Ronda Rousey, Charlotte Flair, and Becky Lynch were straight fire leading up to their “Winner Takes All” triple threat match for both the WWE Women’s Championships. The most awesome moment in their storyline was when the three of them got arrested at the same time and were put into cop cars backstage. All hell broke loose when a cop put both Lynch and Rousey in the same car together. They both kicked at each other and eventually shattered the back window from their kicks. It was an insane moment and possibly the best thing that happened leading up to WrestleMania. When the three of them stood in the ring together at WrestleMania, it had fans out of their seats. They fought tooth and nail to claim the WWE Raw Women’s Championship and the Smackdown Women’s Championship. “The Man” Becky Lynch won the match after pinning Rousey. 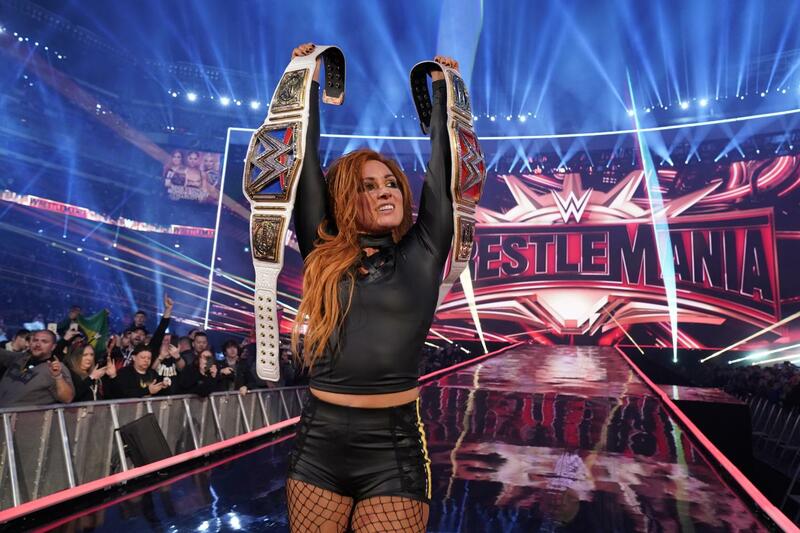 She was the most favored in the match so the fans left WrestleMania tired but most likely satisfied with the results of this year’s WrestleMania.